A new and exciting development from the Gul designers for Winter 2017, the Taw U-Zip Kayaking Drysuit combines advanced GCX4 fabric technology with style and functionality. Breathable, waterproof, hardwearing 4 layer fabric combined with 100% waterproof seams, and tough YKK Aquaseal Horseshoe Easy on zip system. 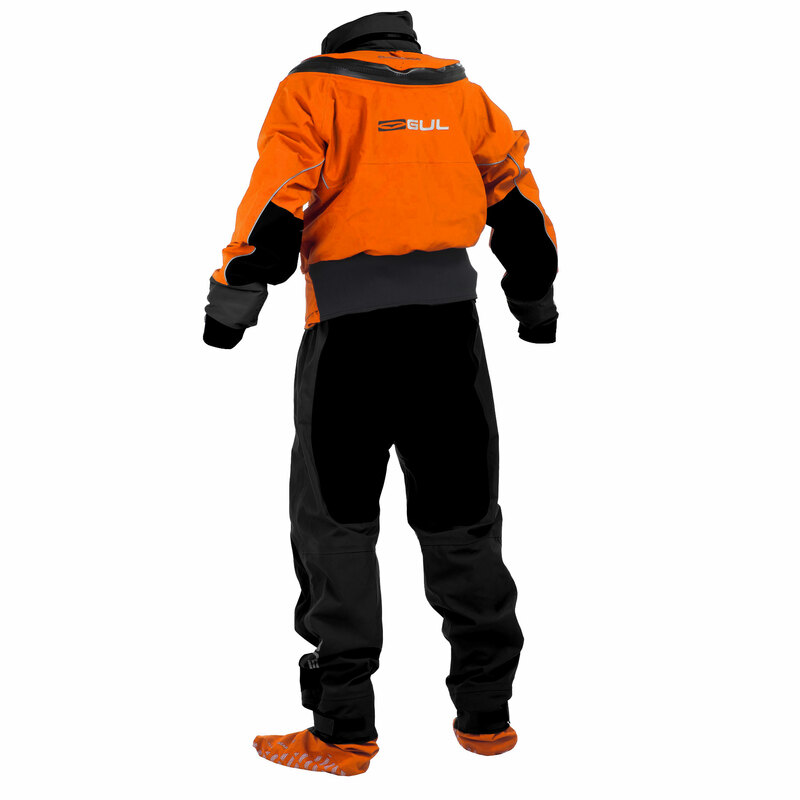 opening gives this drysuit the edge. 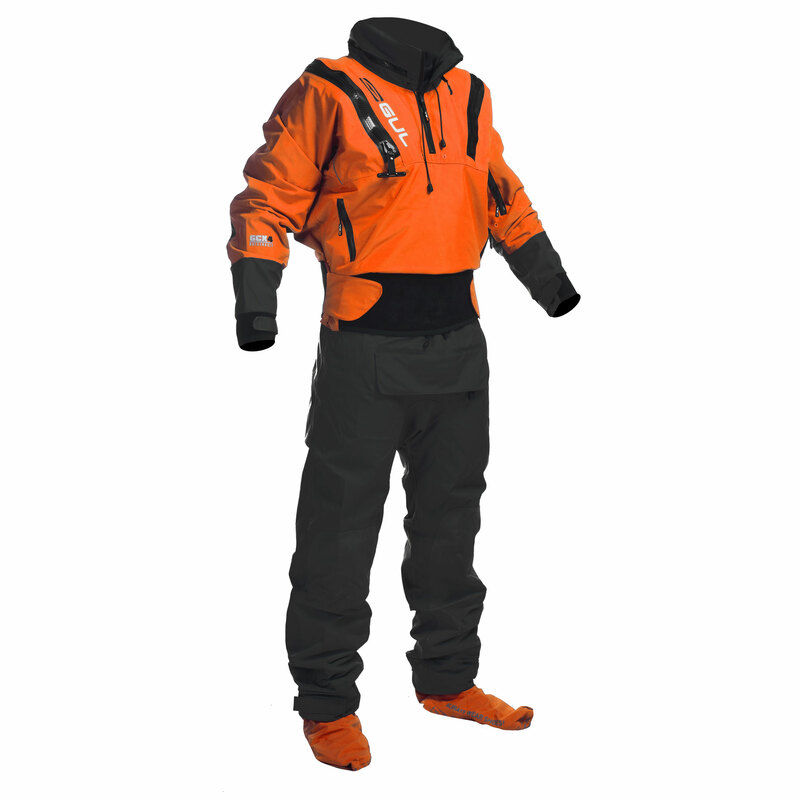 Glideskin neck and cuff seals, plus neoprene outer ankles and webbing straps provide function and supreme comfort. Your suit has been made from carefully selected materials to give the best combination of durability and performance. With the correct care you will gain the maximum life from your suit. Always rinse your suit after use, in clean water using a mild detergent if necessary. Pay particular attention to remove any sand or foreign matter from the zips. Please don’t use any solvents or other chemicals to remove stains or marks from your suit as this can cause damage. Do not force zips and if possible get someone to pull up the zips for you. Protect your suit from sharp or abrasive objects. Ensure the suit is the correct size and do not pull the ends of sleeves or legs to remove. GCX4 For extreme wet, cold and windy conditions, GCX4 fabric will keep you warm, dry and safe. Allowing you to experience complete harmony with the conditions. The challenge never ends. The highly advanced GCX4 four-layer fabric is specifically engineered to fit the demanding use over time. 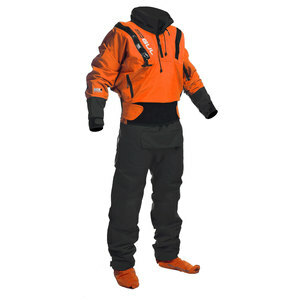 Waterproof - 20 000 mm Breathability- 10 000 g/m/24h. All seams fully taped for long lasting extreme waterproofness. WINDPROOF WATERPROOF Protects from wind and water penetration OUTERLAYER Water resistant, breathable high performance shell. MIDLAYER Waterproof, breathable coating INNERLAYER Wicking polyester tricot. BREATHABLE Allows condensation and perspiration to escape.